The world-famous fashion brand Havaianas kicks off its new Happy Soles campaign that will give a chance to the happy soul a trip to Brazil. 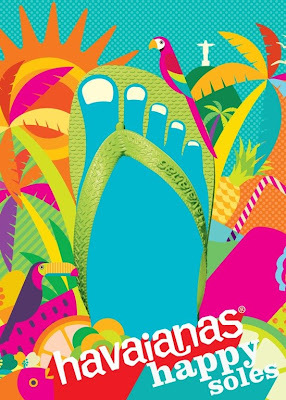 This campaign celebrates the fact that Havaianas has been both a witness and a reminder of Filipinos’ happiest moments. A constant companion on everything from beach trips to food trips, Havaianas has trekked up mountains, walked down wedding aisles and danced under the pale moonlight. For many happy soles, Havaianas is a daily reminder of moments spent with friends and filled with laughter – moments that define who we are. And in an effort to be present in even more unique life experiences, Havaianas kicks off the Happy Soles campaign with a creative competition titled “Happy Soles Will Travel to Brazil.” Answer the question, "If anything was possible, what would you do to make the world happy for a day?” as creatively as possible and you could get the chance to win an all-expense-paid vacation for four to the land of sunshine, Brazil. 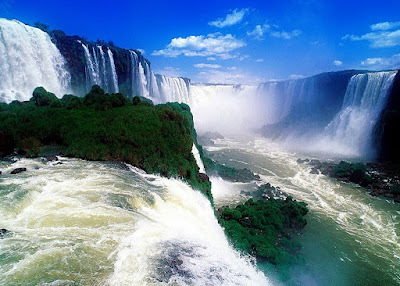 The winner, along with three friends, will fly to Brazil on an unforgettable, all-expense-paid retreat, complete with travel must-haves from Havaianas, Sony, David and Goliath, and Aloha Board Sports. 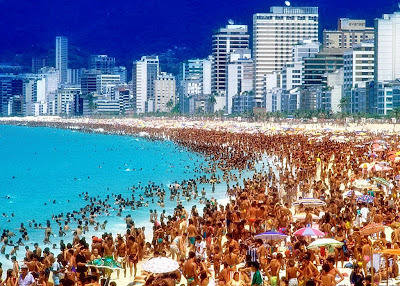 The group of friends will get to experience the cool climate of cosmopolitan Sao Paulo and the endless summer of Rio de Janeiro in quirky clothes from David and Goliath, and stylish resort wear from Aloha Board Sports. Not only will they stay in chic, boutique hotels and dine at world-class restaurants, the four friends will also visit Oscar Freire Street, home to Brazil’s fanciest boutiques, where they will enjoy a shopping spree at the Havaianas Concept Store. A visit to Daslu, a super luxurious shopping mecca is also on the agenda. 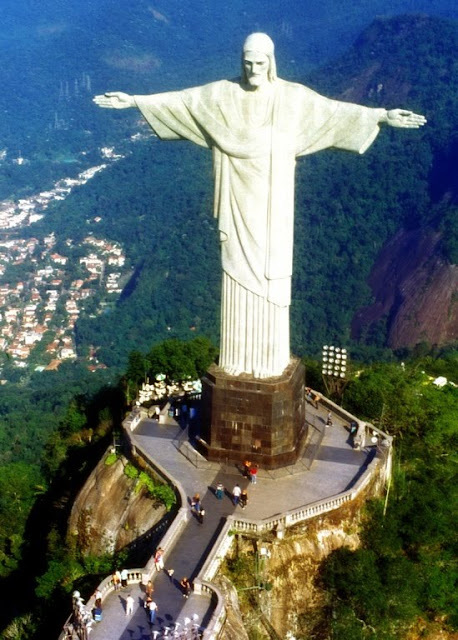 In Corcovado Mountain, they will get to see the Brazilian icon, Christ the Redeemer, and record the priceless memory with their Sony CyberShot cameras. 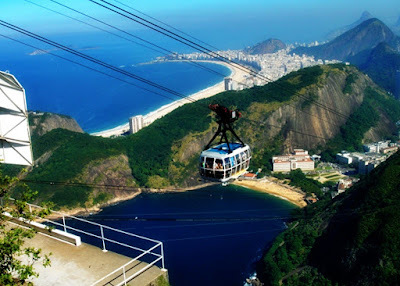 They will also experience everything from the football madness at Morumbi and Maracana to the breath-taking tropical landscape of Jardim Botanico, a UNESCO site, and the laid-back beach culture of different world-renowned beaches like Copacabana. The winner will also be able to share these memories with ease, with a new Sony HandyCam camcorder and Sony Vaio laptop, and even a new Sony Walkman mp3 player to bring home the sound of Samba. Answers can be recorded via the Havaianas roving video booth that will travel to key malls nationwide or uploaded on the campaign website: www.havaianasphilippines.com/happysoles. The top ten happiest and most creative entries will be shortlisted by a board of judges that includes a representative from the Brazilian Embassy, magazine editor Pauline Suaco-Juan, travel blogger Anton Diaz, Capoeira guru Professor Fantasma, and the Managing Director of Havaianas Philippines. The public will then decide who of the ten will be awarded the grand prize through online voting at the campaign website. The remaining nine finalists will also walk away with prizes from Havaianas and new Sony CyberShot cameras. “Havaianas has always had the privilege of being with Filipinos during their happiest moments - at the beach, in malls, at home, practically everywhere. We wanted to create the happiest possible experience through this unique, luxury vacation to Brazil,” says Anne Gonzalez, Managing Director of Havaianas Philippines. 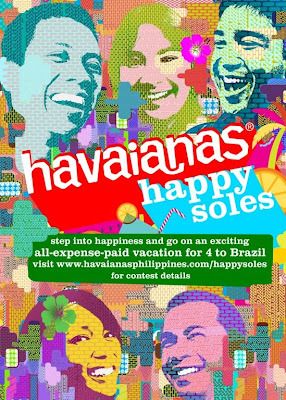 Visit www.havaianasphilippines.com/happysoles for complete contest details or visit the roving video booth in Lipa from February 8 to 14, Metro Manila from February 18 to 28, Cebu from March 8 to 14, Cagayan de Oro from March 22 to 28, Davao from April 5 to 11, Bacolod from April 19 to 25 and Metro Manila once more from April 30 to May 2. The official media partners of this event include RX93.1, MYX, Studio 23, Lifestyle Network and Velvet Channel.